Selection from the very old French variety "Rouge Crapaudine", which originates from 1840. 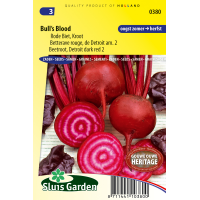 Bull's Blood has the darkest crimson leaf colour that has ever been seen, and the beet itself is also very dark with a deliciously, full, old-fashioned, sweet taste. 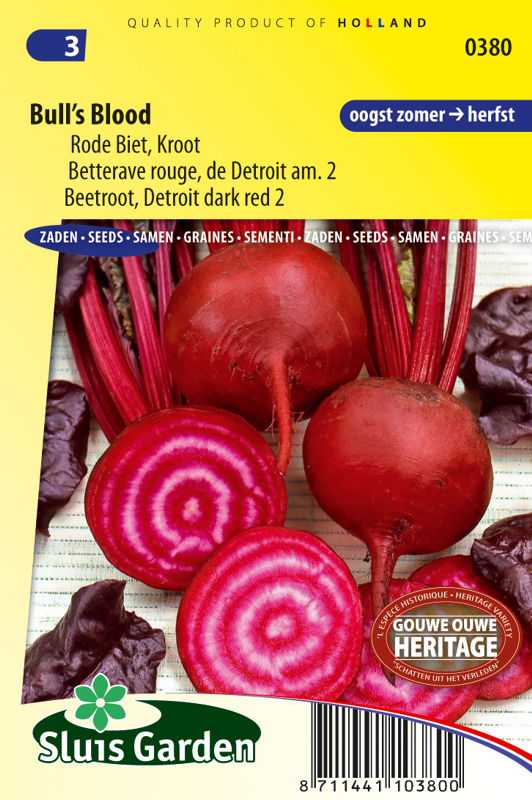 Sow in well fertilized soil and not too thickly. Once the plants are 3 cm tall thin out to approx. 10 cm. With these, too, harvest on time, otherwise they get too thick and coarse. Keeps reasonably well.